When you’re just starting up a gardening or landscape design business, there are a lot of expenses involved. In the case of some pieces of gardening equipment, it may be a better idea to think about hiring them in the first instance, rather than stretching your cash to pay for them. A practical garden services or landscape design business involves the use of a lot of different pieces of equipment – large and small. Whilst there will be some forms of gardening equipment that are essential to almost every job, such as a fork, spade or trowel, there are other forms of equipment that you may only use occasionally on certain jobs. Although it may be tempting to blow your budget on shiny new equipment and get completed kitted out in readiness for any job that comes along, on a practical basis it may not be such a good idea. 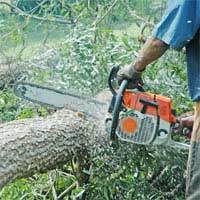 For a start, if you only get certain jobs, such as large scale lawn mowing that would need a ride on lawnmower, or a lot of hedge or tree cutting that may involve use of a chain saw, it’s not very cost effective to buy the equipment for your business if it won’t be used very often. Hiring, though, is much more cost effective – especially if you can find a reputable hire company who’ll give you good deals. Unless you happen to know offhand of companies who do gardening equipment hire, it’s a good idea to thoroughly research the options available, both for purely businesses who want to hire equipment and perhaps consumer hire companies too. If you suddenly have a job offer that involves equipment you haven’t got, you need to be sure that you can easily hire the necessary equipment in order to get the job done. When you’ve found one or more equipment hire companies that you’re interested in, go and have a chat with the owners and see what equipment they have and if they’ll offer you any good deals. For examples, if you commit to exclusively hiring from them or give their business name a mention in any literature you’re providing to customers, then they may be willing to give you a good, long-term deal on equipment hire. Don’t forget to find out what their equipment hire terms are, how long you’ll be able to hire items for and how much notice you have to give in order to hire an item. It’s also beneficial to find what quantities they have of particular items. For example, if they only have one chipper, and you desperately need it for a tree cutting job, then there’s also the potential problem that it could already be hired out to someone else. Getting an idea of which pieces of equipment are the most popular and are hired out the most may help you make your mind up about whether you can successfully use the company in question. If there’s going to be a high demand for products, and you’re competing against other business and / or the general public, then it may be tricky to work with them. Hiring equipment is something many gardening business make the most of, but as you progress, make more money and expand, you may well find that you need to increase the equipment you own to make life easier.